They drew with Stoke City yesterday, with former Liverpool midfielder Joe Allen grabbing an equaliser, much to the delight of fans around the country. 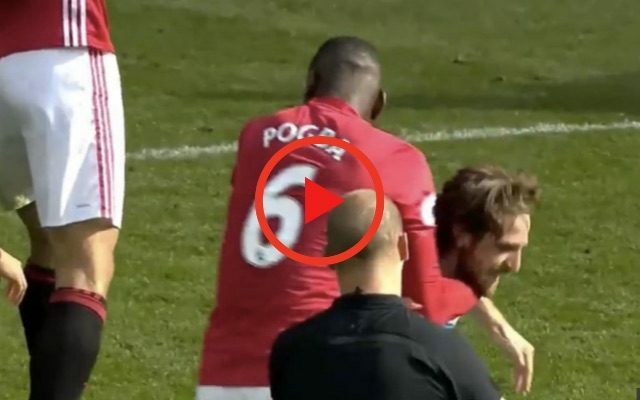 But another incident has gone viral, which involved the world’s most expensive player Paul Pogba grabbing an unsighted Allen by the neck and attempting to throw him on the ground. Bizarrely, the referee didn’t even book the Frenchman despite being in perfect view. Perhaps Allen had just reminded the £89m man that he’s scored the same number of goals this term as Ragnar Klavan!